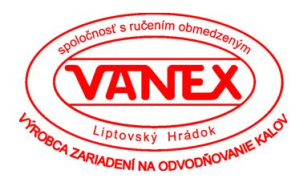 Czech Industrial Fabrics is a supplier of filter belts for solid-liquid separation and dryer fabrics used in the paper industry. They are produced in a plant in the Czech Republic, which has more than 25 years worth of experience with the production of paper machine clothing. We use only the best plastic yarns from reliable suppliers, which is essential for us to be able to secure excellent and stable quality of finished products. Our main goal is to supply the most convenient type of filter belt for certain application and thus to achieve the best possible results for our customers. Therefore, it is important for us to learn about our customer’s production goals and priorities and to understand relating technological processes. We also provide continuous technical support and service for our products. We offer dryer fabrics for industrial dryers for drying of various types of material and for drying of paper in drying section of paper machine. Antistatic belts with conductive yarns are used for applications with danger of fire. Our filter belts can be used in a wide variety of applications for solid-liquid separation, e.g. sludge dewatering in belt press, sludge thickening in gravity belt thickener, filtration in horizontal vacuum belt filter, thickening in drum filter, conveyor belts, process belts in various industries, etc. Besides standard fabric designs, we are also able to deliver fabrics according to customer specification. Our fabrics are produced in the production plant, which is certified according to ISO 9001.